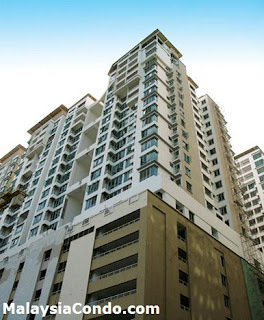 Casa Tiara (TiaraVille) serviced suites is located at SS16 Subang Jaya, neighbouring Subang Jaya Carrefour & Subang Parade. There are 644 units in total and the built-up sizes from 800 sq.ft. onwards. All units are designed in a North / South orientation - ensuring no glare from direct sunlight. Facilities include swimming pool, wading pool, 24 hour security with card access, broadband internet access, centralised SMATV, gymnasium, children's playground, poolside cafeteria, squash courts, multipurpose / community hall, BBQ pits, reading / games Room, surau, management office, visitors car park, car wash area, nursery / childcare centre, launderette, house-keeping facility, F&B outlets, convenience store.